GMs around the league are scrambling to make one last push to prevent losing one their top players for nothing. That's because the only trades teams can make between now and 10am ET on Wednesday are with the Golden Knights. The 30 expansion draft picks will be announced live in Las Vegas later that evening. We know at least three teams have made side deals with Vegas: Columbus, Anaheim and Chicago. There are likely many more to come as we get closer to Wednesday. It will be hard to learn the details of these trades, as the NHL and Vegas want their draft reveal to be a surprise. 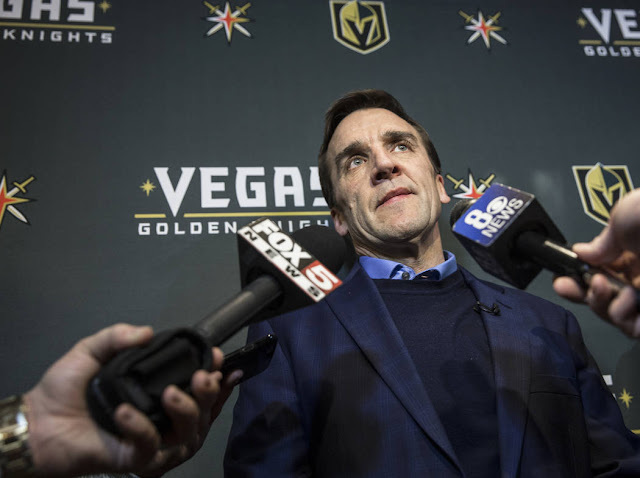 With the 3 pm ET deadline on Saturday coming and going without a Pittsburgh-Vegas trade, we can safely assume that Marc-Andre Fleury is headed to Vegas via the draft. It's sounding more and more like that's where he'll stay, because Calgary, considered one of the key contenders for Fleury, made their own move in acquiring goalie Mike Smith from Arizona. Speaking of Arizona, who will be manning the crease next year? Surely not young and inconsistency plagued Louis Domingue. We'll know more following the expansion draft, but it's clear they're not done. Another team that's been somewhat mysterious about their plans in net are the Flyers. But it sounds as though they're working on a wishlist which could include Antti Raanta, Jonathan Bernier, Robin Lehner and Eddie Lack. One of the biggest storylines on Saturday was something that didn't happen: the Minnesota Wild trading a defenseman. That likely leaves two of Matt Dumba, Jonas Brodin and Marco Scandella exposed to Vegas. Minnesota will likely try to convince George McPhee to take hometown boy Jason Zucker instead. The Senators couldn't find a taker for Dion Phaneuf and his 7 million dollar cap hit. That likely means Marc Methot or Fredrik Claesson will be selected by Vegas barring any last minute side deal. The Bruins have supposedly been busy on the trade market despite a lack of moves thus far. One name that's recently come up in trade talks - Adam McQuaid.